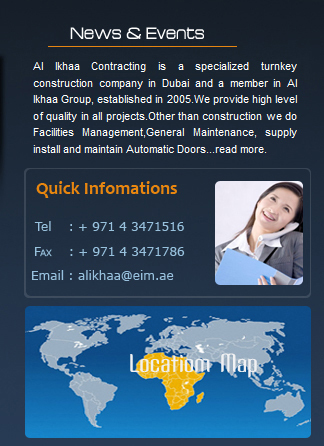 Al Ikhaa Contracting is a specialized turnkey construction company in Dubai and a member in Al Ikhaa Group, established in 2005. 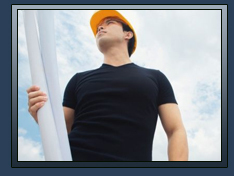 We provide high level of quality in all projects. Other than construction we do Facilities Management, General Maintenance, supply install and maintain Automatic Doors, Dock Levellers and Air-conditioners. We undertake turnkey projects with design and built. We are approved with DM, JAFZA, CED, DIP, DWC, TECOM, Hamriya Free Zone (Sharjah) authorities.